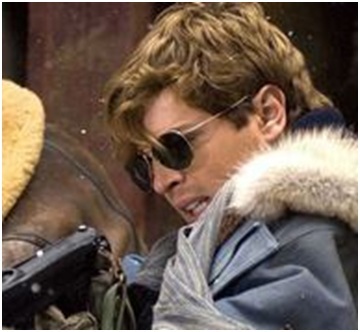 Luke Ford is all set to save the world from mummies sporting the Ray Ban RB3030 Outdoorsman in the movie The Mummy 3. These set of sunglasses give a mix of retro and vintage look, and overall they complete the attire. Luke here is shown in action, and travels the world which makes these Ray Bans a necessity, since they are rugged and tough than the regular aviators. © 2019 LikeAFilmStar.com | All rights reserved | As an Amazon Associate we earn from qualifying purchases.